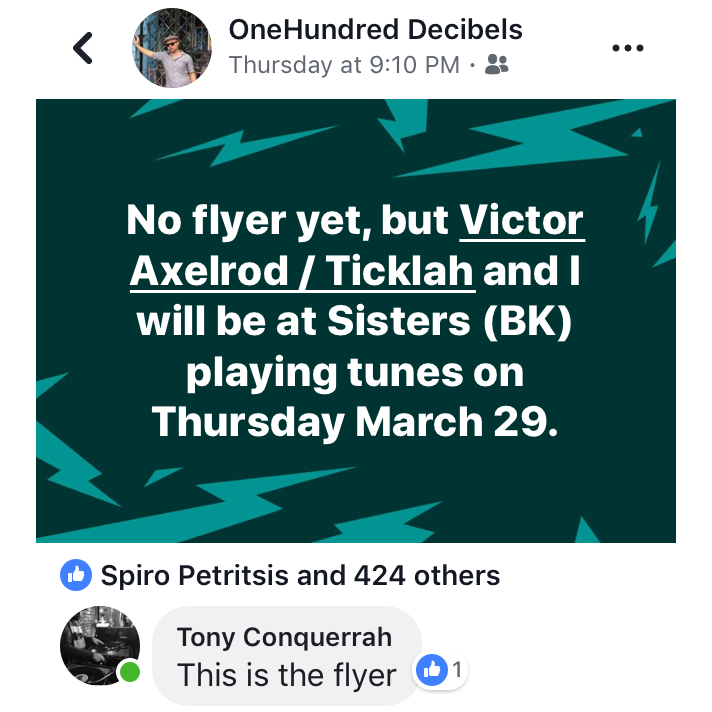 Thursday night, Ticklah (Victor Axelrod) and I are joining forces once again with plenty of soulful records to slide into the weekend right. This is a beautiful and unique space on Fulton Street with food and drink. Pardon my lazy flyer, inspired by a friend. Come hang!